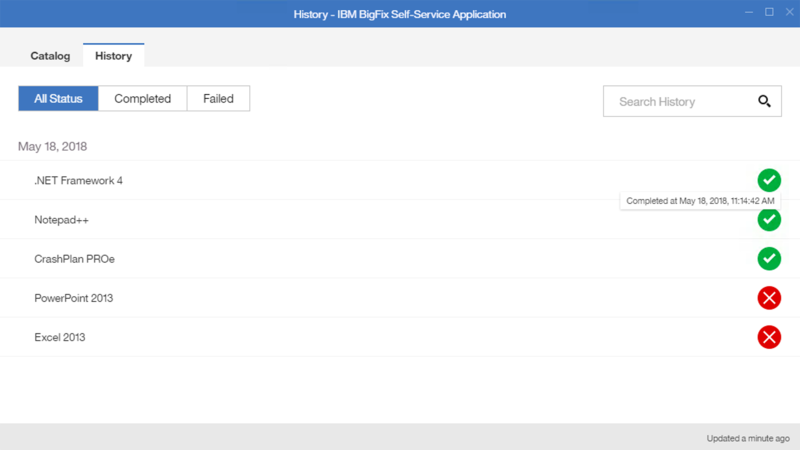 How does IBM BigFix Lifecycle work? Manage up to 250,000 endpoints, regardless of location, connection type or operating system from a single management console. 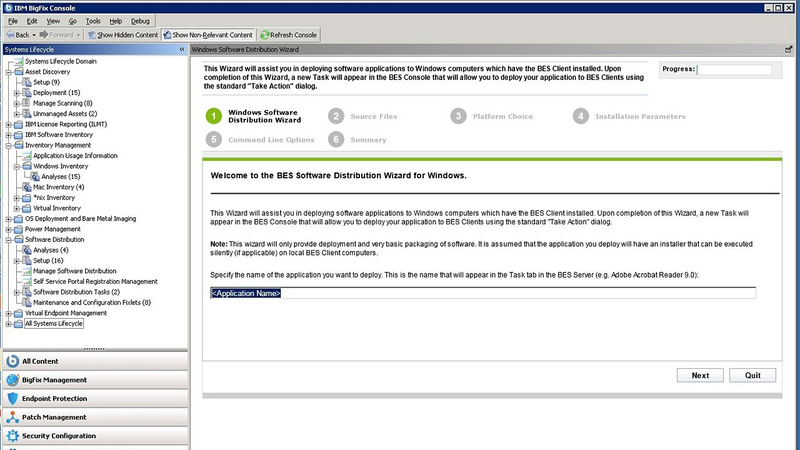 Manage heterogeneous platforms across more than 90 operating system versions. BigFix Lifecycle does all of this through an intelligent agent on each endpoint that performs continuous self-assessment and policy enforcement with minimal impact on system performance; and enables remote desktop control to streamline help desk calls and problem resolution. Address the full system lifecycle including asset discovery and inventory, software distribution, operating system deployment, migration and re-imaging, patch management, power management and remote desktop control. Asset discovery and inventory features create dynamic situational awareness about changing conditions in the infrastructure. Quickly discover new systems, deploy agents and take complete control with closed-loop policy-based management. The BigFix solution automates patching, remote software deployments, Windows 10 migrations, updates and re-imaging. It can also automate more advanced tasks like operating systems and application patching on clustered servers to minimize labor costs and ensure servers are patched and secure according to your policies. It also supports other common system administration tasks that need to be sequenced, such as server builds that can include deploying an operating system or changing the host name. Learning if a piece of malware is running on any of my endpoints. The BigFix Query feature provides a real-time status of all your endpoints, enabling accurate identification and inspection of vulnerable devices. Interrogate endpoints and get precise answers back in seconds, telling you which devices are affected. The need to get all devices managed and secured as quickly as possible. 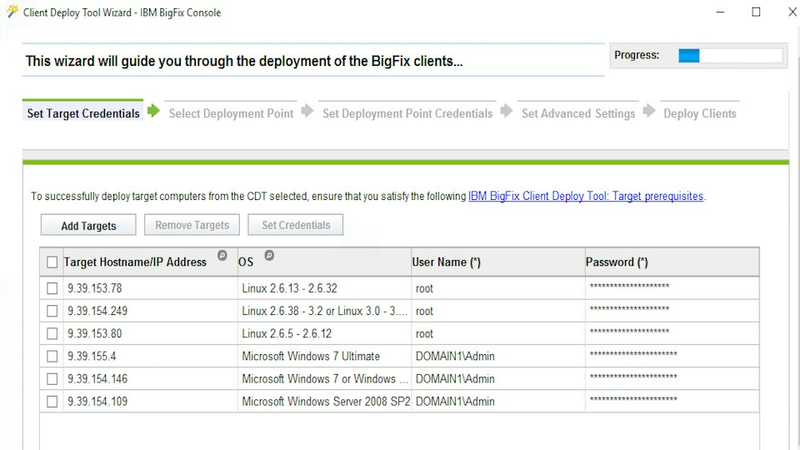 A simple wizard guides you through discovery and installation of the BigFix agent in a minimum amount of time. This lets you get BigFix up and running quickly. The need to automate Windows 7 to Windows 10 migration. BigFix Lifecycle automates migrations and quickly re-images devices, drastically reducing manual effort. 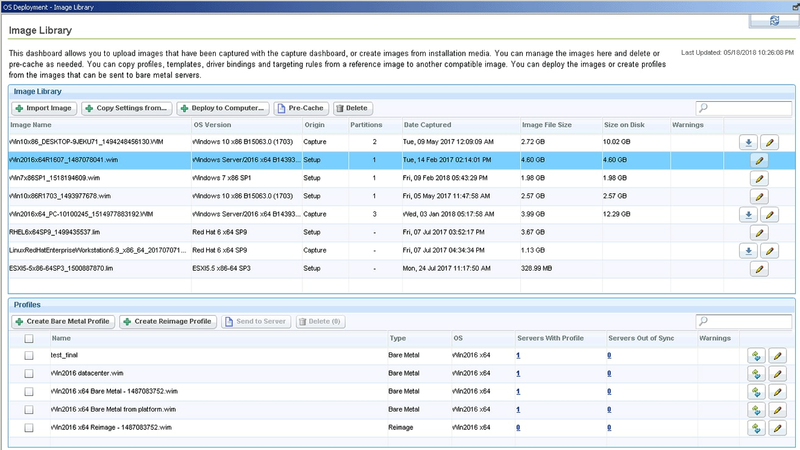 The Image Library provides a single pane to capture, create, clone or deploy an OS image. I need an easier way to deploy software. A simple interface guides the Administrator through a minimal sequence of steps to quickly and easily deploy software on more than 90 different OS versions of Windows, Mac, and Linux endpoints. The Self-Service App lets users trigger operations during breaks or downtime so that they can maximize their productivity.